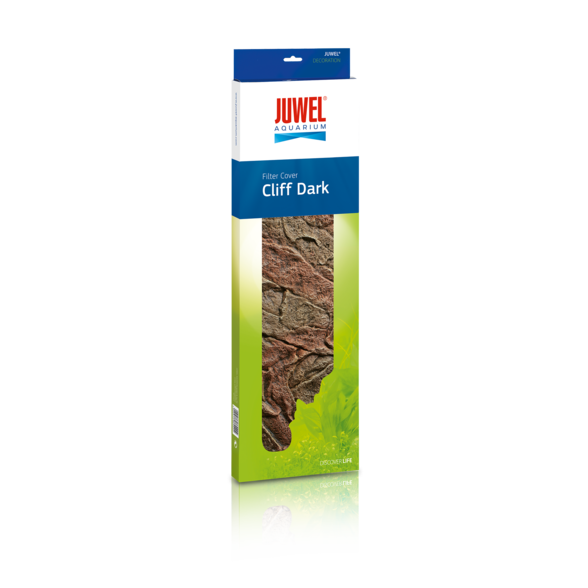 The filter cladding Cliff Dark is a lifelike replica of a rock structure with a brownish hue, which especially ideally complements the back wall Cliff Dark.The low installation depth of only 1 - 1.5 cm disguises your filter discreetly without heavy. The filter cover consists of two parts, one for the front and one for the side. 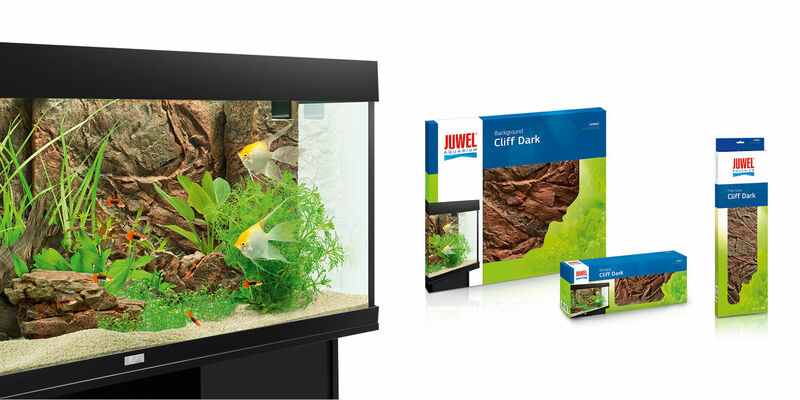 They are already prepared for all JUWEL aquariums and the filter sizes used in them and adjusted with just a few cuts. The filter cladding Cliff Dark are made of extremely compressed polyurethane and coated with an epoxy resin surface. 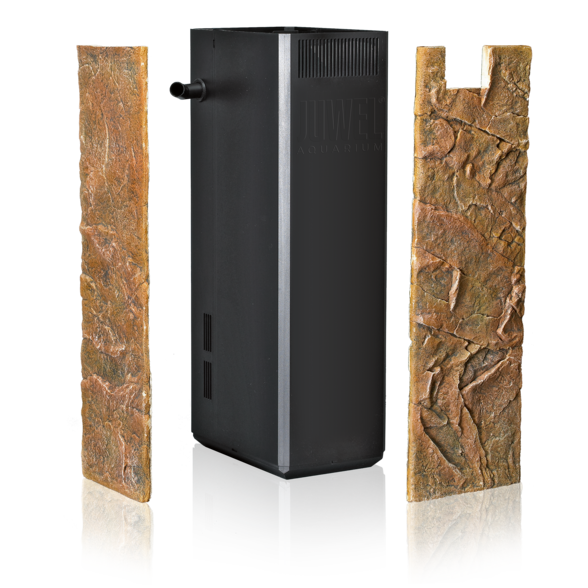 This elaborate production process allows a particularly easy cutting of the filter cover with a simultaneously extremely resistant and colorfast surface. 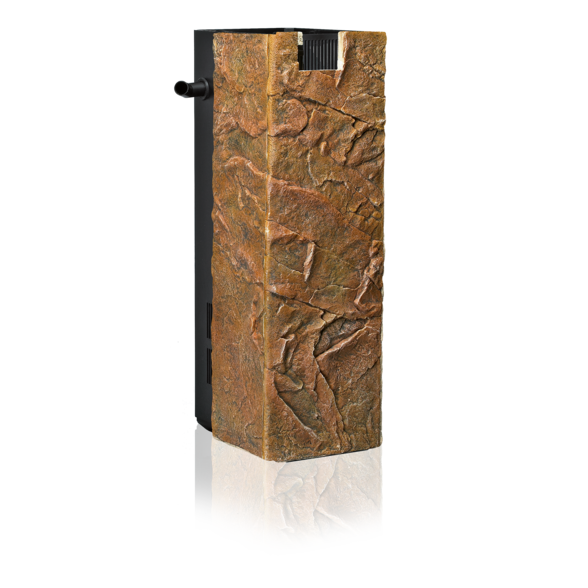 The Cliff Dark filter covers are the perfect complement to the back walls Cliff Dark and the matching terraces and deco stones.